Pehchan (I am one of the founding trustees) runs a small centre in Jaitpur extension and teaches school drop outs every year, coaches them to appear for 10th and 12th from Jamia. It also runs sewing classes for women. I received a call from Director of Pehchan coaching centre at 8.59pm. She told me that Haseen husband of one of the women (Mubina) , who had learnt stitching at our centre, got a call from a man who said that he was calling from the Lajpat Nagar police station and was a sub inspector. He threatened Haseen and called him to the police station regarding some complaint. She gave me SI’s name and number. Usually when someone is called at night we do try and call up the police officer concerned, try and arrange a lawyer to go with whoever has been called to the police station. I did the same. Unfortunately my telephone did not have a call recorder downloaded. The conversation which was full of abuses, using highly derogatory and uncivilized language could not be recorded. I cut the phone after 15 minutes or so and downloaded a call recorder quickly. In between the person who claimed to be the Sub Inspector Sandip Malik from Lajpat Nagar Police Station called 4 times but I didn’t pick up the phone till the recorder was downloaded. I am attaching the recording which is self explanatory. The earlier conversation was a lot more threatening and abusive as compared to what has been recorded. I was directly threatened that I will be killed in an encounter and that there is the new law according to which whoever doesn’t have an aadhaar and address proof should be surrounded and killed (‘एक अभियान चल रहा है घेरो और मारो’ ). The man who claimed to be the sub inspector called from mobile no 7065824289. 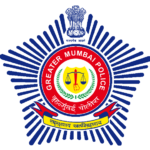 The conversation and the Sub Inspectors’ threat raise serious questions which the Government of the day and the Police Commissioner must answer. 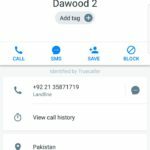 According to truecaller, the number belongs to one Ashish Kumar and has also been indicated as a police number. The person speaking is clearly drunk. He is expressing homicidal intent toward those who don’t have an Aadhaar. He is clearly speaking using the phone of another police officer – drinking buddy? Where is this impunity coming from? Why would police think it is ok to kill people for lack of identification? This indicates a serious and urgent security issue for the country. Are the police being encouraged to do physical harm to those who do not have Aadhaar? What is the basis of calling people randomly to the police station or threatening to kill someone for not having an Aadhaar? Why is the “voluntary” adoption of Aadhaar accompanied with increasing coersion, deprivation of rights and now outright threats of murder? Is this a country or a concentration camp?